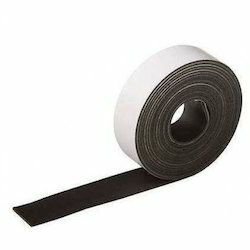 Our product range includes a wide range of magnetic tape. We are a leading supplier of best quality extruded magnet profiles, which are used in sign boards.Available at the most reasonable price, our range of magnets is known for proper functioning and strength and used in display boards. Looking for Magnetic Tape ?